Promising vengeance for the death of a beloved old god, Mr. Wednesday begins preparation for a great battle. Meanwhile Laura and Mad Sweeney chase Shadow's diminishing light after he disappears. 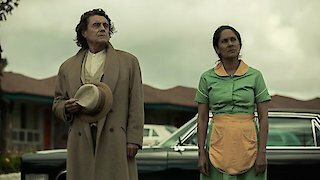 American Gods, Season 2 Episode 2, is currently available to watch and stream on Starz. You can also buy, rent American Gods on demand at Hulu, Starz, Sling online.